Een Suikerfabriek. 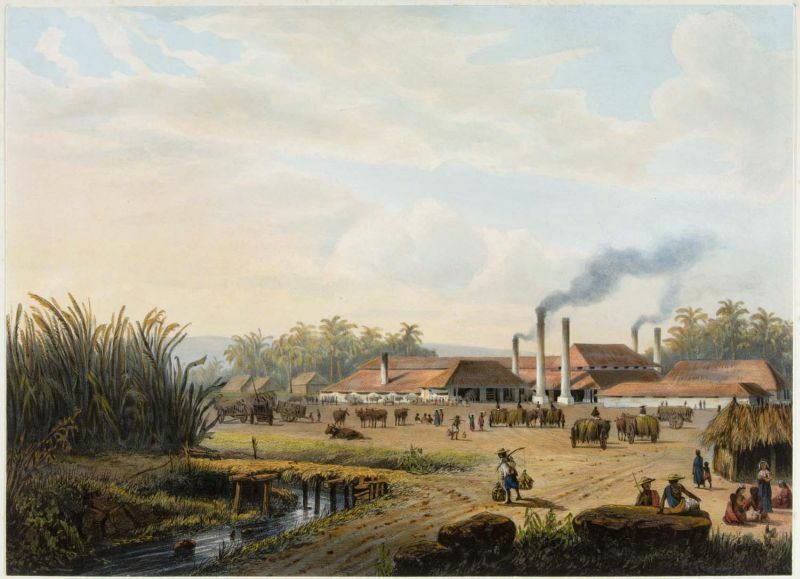 Lithograph of a painting by Abraham Salm, 1865-1872. Tropenmuseum, part of the National Museum of World Cultures [CC BY-SA 3.0 (http://creativecommons.org/licenses/by-sa/3.0)%5D, via Wikimedia Commons. What kinds of nature are forged through settler colonialism? Settler colonists do not merely conquer people and territory—they seek to transplant and redefine. The desires, fears, messianism, violence, masculinity, sexuality, and racism that characterize settler colonialism shape how colonists imagine and interact with the environments and people they encounter—generating contradictions that colonizers and the colonized are forced to contend with. Settlers introduce and remove plants and animals for agricultural production or biological control, while nostalgically transforming their new environments to mimic their homeland. Settler colonialisms fashion borderlands through their concept of “the frontier,” generating novel identity categories that are negotiated, rejected, or reconfigured by colonized people and their descendants. These borderlands and the areas “beyond” them can manifest as spaces of abjection and exception—open to genocide and ecocide—but also of capitalist or imperial fantasy. This thematic series explores what anthropological approaches can contribute to our understanding of the environment in contexts of settler colonialism, with commentaries by Zoe Todd and Clint Carroll. Read the original call for posts here.